The public is very much aware of snoring but rarely do their associate it with sleep apnea. For many, it is just a nasty habit that has plagued millions (especially men) from then until now that we all just have to learn to live with. Even if you snore and have trouble sleeping each night, not many will seek professional treatment because it is expensive and time-consuming. These are just some of the reasons why a lot of sleep apnea cases remain undiagnosed. The majority do not see it is as a major threat to their health and life, so they just learn to accept this bothersome symptom and go on with their lives. Patients who snore and have sleep apnea but haven’t gotten treatment yet often lack focus and feel overly sleepy during the day. It’s because they weren’t able to get a decent amount of sleep at night. But more than the chronic sleeplessness, sleep apnea in itself is a deadly condition. Think about yourself not breathing for several seconds multiple times throughout your slumber. That’s what happens when you have sleep apnea. These periods of breathing gaps are critical because your brain is trying to decipher whether it should focus on breathing or sleeping instead. It is even more alarming to find out that almost a billion people all over the world have sleep apnea, who are silently battling in their sleep every single day of their lives. “The research and findings are a revelation in sleep apnea research and represent a vastly underreported major public health issue”. These people fail to get themselves checked by a doctor or even report their symptoms. It does not help either that there is no cure for sleep apnea just yet. It is a life-threatening condition that also predisposes you to a list of other chronic conditions like Diabetes, Heart disease, stroke, and depression, among others. Moreover, you become prone to accidents because of sleep deprivation. Sleep shouldn’t be underestimated anymore as it is an important recuperative process that allows us to do so much during the day and help keep us going in life. If you don’t get the sleep your body needs, everything else in your life will suffer. There are also more user-friendly and convenient anti-snoring gadgets you can use to relieve you of the snoring and somehow address your sleep apnea in the form of mouthpieces like ZQuiet and VitalSleep that many of you can surely afford. “It appears most older adults who are at risk for obstructive sleep apnea may not be getting referred for overnight sleep studies, and we may be missing an important chance for treatment,” says co-first author Tiffany Braley, M.D., M.S., assistant professor of neurology at Michigan Medicine. A big chunk of those with undiagnosed sleep apnea belongs to vulnerable groups like the elderly. 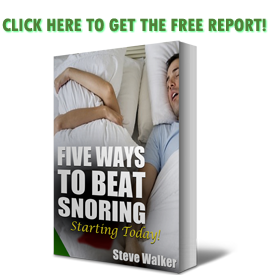 Often time people mistake snoring as part of the aging process but it is not. Hence, most older people refrain from getting checked for their snoring. They may think they get tired easily and feel sleepy most of the time because they are getting old but the truth is that it is because of sleep apnea. This chronic sleeplessness shortens their lifespan even more and contributes to them being more sickly too. In essence, sleep apnea is like a ticking time bomb in your slumber. Those unfortunate enough may not even wake up at all. To lessen your risk, try using anti-snoring gadgets if you’re not comfy at all with CPAP or the thought of surgery scares you away. The important thing is you don’t put your life at constant risk every time you sleep for the night.